Why Do We Need Fishing Wader? How Do Stockingfoot Waders Work? is a huge necessity for an angler. When you’re going through a fishing area, you will be assured with a fishing wader as it will protect you from getting wet. They’re particularly useful in swamps and marshlands. In this article, we’re going to provide you with in-depth information on waders and their different kinds. In addition, we’re also going to talk about how do stockingfoot waders work. Waders refer to the waterproof apron that extends from chest to foot. 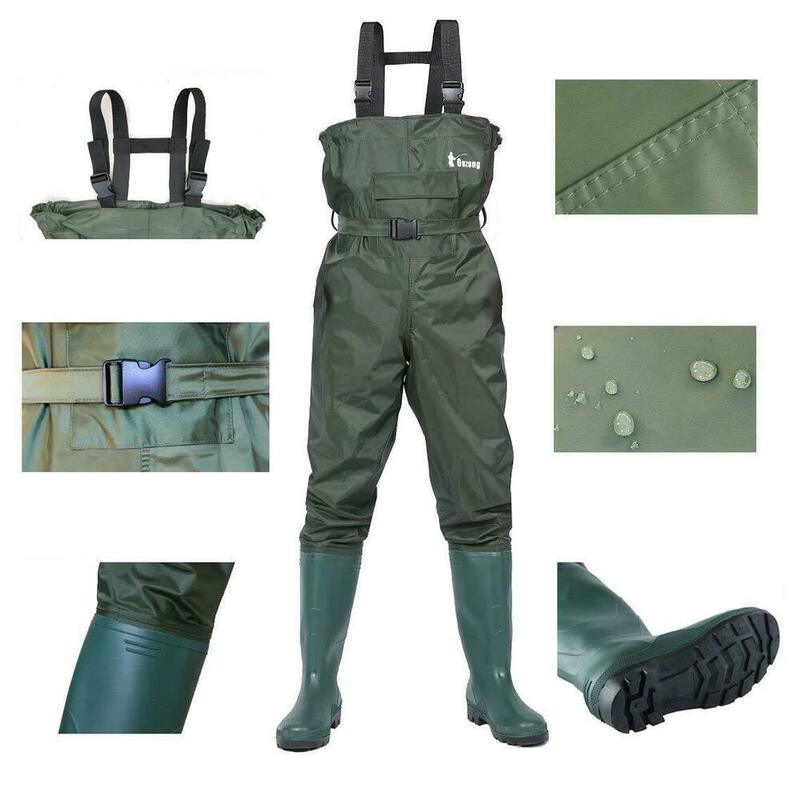 These waders are manufactured from different materials such as rubber, PVC, neoprene etc. The waders are different from waterproof boots in their shaft height. They are either available with attached boots of stocking feet. Fishing Waders are generally the waders that can be worn during fishing. Waders are used for many things. It can range from some common purposes such as gardening, and waterfowl hunting. They’re also used extensively in chemical and agricultural industry. Fishing Wader is used for fishing while standing in water. This doesn’t mean that it is used in all kinds of fishing. The fishing waders are generally used in marshlands although, some anglers use it during winter just to keep their feets warm. The use can depend on the individual. Fly fishermen use it because they have to spend a lot of time in the water. People do need to have protection. 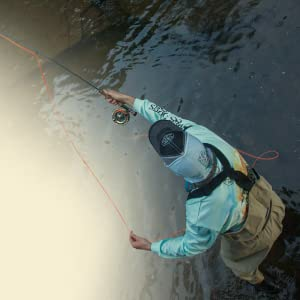 In summer, fisherman can use waders to keep them dry and in winter to keep them warm. Thus, the waders have a lot of uses overall. Stockingfoot waders don’t have an included boot but have a sock. The stockingfoot wader has a good quality material of sock and the stocking but since they don’t provide a boot, it these waders are a bit expensive. If you’re a new angler, we recommend you to try a bunch of boots and select the one that has the best fit and design. If you’re comfortable get it. The stockingfoot waders work by providing really good stability to your feet. These waders are preferred by most anglers. The waders have a flexible neoprene sock instead of the boots. When you use a boot with a stockingfoot wader, your boots will get a bit wet but the construction of the stocking is really great and it will definitely protect your feet from the water. These waders have a huge advantage as they give you more design, customization option, and a better fit. However, the only downside is the price but you can get good deals on time to time and you can even buy the boot at a reasonable price. The type of water you’re fishing in determines your fishing wader. Most waders generally work in saltwater and they can last for years. For that, you need to lean your waders frequently. Saltwater and freshwater waders are significantly different so, keep this point in mind before buying a wader. The material that you use should be comfortable enough. Also, breathable wader is the best option for you. The build material really depends on what you prefer. Some materials are best for winter whereas some work best during the winter. There are also a few light weight and breathable waders that work well in all conditions. Most popular build material is Neoprene which isn’t breathable, you’ll sweat more in this material. Choosing a breathable wader that works in all weathers is probably the best bet that you can make. These waders are also portable and they can serve your every purpose. Another Equally important factor is the price of your wader. Normally, a stockingfoot wader costs more than a boot foot wader but it mainly depends on the manufacturer. There are both low and high costing waders from each type that you can buy. Don’t really go after a particular brand, but measure up the pros and cons and choose a product that feels right to you. The waders that you buy must be comfortable. As far as the material is concerned, you can go for material such as gore-tex which allows good airflow and keeps the water out. You need to get a breathable wader and it’s better to not buy rubber waders. An insulated Wader is a complete NO unless you’re fishing in the Arctic region or the places where the temperature drops to 0 degrees or less. Stockingfoot waders should be bought over a traditional boot foot wader because they are better in terms of size and fit. The brands that are most popular are Reddington, Patagonia, Orvis, Cabela etc. The brands don’t really matter though. You also need to keep the size of the wader in mind, premium brands offer a lot of sizes and it can be a bit difficult to choose the right one. Don’t get a wader that’s too tight, it will be uncomfortable. Get the one on a slightly larger size for comfort, the best fit waders can be even better. There is another thing to remember once you buy a wader, most waders are prone to damage. The damage occurs in the form of tears and punctures. You can definitely fix them in your home. If the problem is too large, then visit the manufacturer. Waders are important for all the anglers. There are a lot of choices available in terms of build material. Getting the one that feels comfortable to your skin is the main thing to remember. As far as the fit goes, get a fit that doesn’t suffocate you and speaking about the type, always remember that the stockingfoot waders are better than the boot foot waders. We believe, after reading this article on how do stockingfoot waders work, you will have much more confidence when choosing the suitable type of waders for yourself.